Printing a calendar on your home printer need not be expensive and has the added bonus of being personalized with images that are special to you and your family. More and more people are printing their own home calendars with family portraits or pictures of their pets as the cost of printing at home has come down with the availability of good quality compatible ink cartridges. The major cost involved before now was the cost of the ink. To run off 13 A4 pages with colour photos on them as well as the calendar was proving expensive. Now that compatible printer ink is widely available the need to pay to have them printed on-line or at a local print shop has declined. 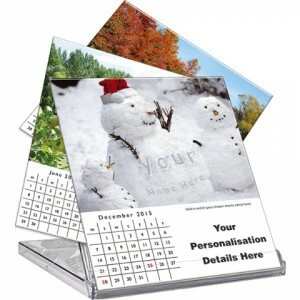 First of all decide the style of the calendar you would like to print. You can Google the different styles of calendar and choose one that suits your needs and importantly, your printer. For example, one of the most popular types is the calendar that fits into a CD case – this enables the calendar to be displayed upright with a simple method of changing the moths of the year. When you have selected a style of calendar, set your document size to match and begin selecting the images and corresponding months and putting together your calendar. When all the information is gathered and ready to print, make sure you have the correct weight of paper (a 90gsm gloss paper would be ideal for most printers – but if in doubt check online the maximum weight of paper your printer will take – this is likely to be 135gsm for a home printer). Next, make sure you have a good quantity of compatible ink cartridges at your disposal with an extra number of black as you are likely to use more black cartridges than any other colour. Compatible ink cartridges are available for almost all printers now and certainly for all the leading brands. Some of the best value is Epson and these can be up to 70% cheaper than the original Epson brand. Printer manufacturers are adding more and more printers every week but they will all eventually accept the compatible ink making your printing a lot more affordable than ever before. A personalised printed calendar is such a great present for friends and family, why not start an image collection for next years calendar right now and build up the memories to share with friends and family.